We love coffee shops, but sometimes you need more than just great coffee and a place to visit with friends. Sometimes, you need business related services that are not available at your local coffee house. Port Angeles Business Central is that place! If you are looking for Port Angeles Business Services, check in with Port Angeles Business Central! Shared Space by the hour - when you don't need a private office to yourself. Free Cup of Courtesy Coffee (House Blend) Too! We provide office services in a casual, business environment. We are also the home of Courtesy Coffee and have a delicious house blend for your enjoyment, as well as an assortment of Keurig coffee and a few other beverages. If you would like to bring your own coffee or beverage, we're cool with that. Get a good cup of coffee FREE and an hour of our high speed internet FREE, too! We offer virtual office programs starting at just $50 per month. We will tailor your virtual office program to meet your specific business needs. Do you need regular office space and office management assistance, but cannot afford your own office and an office manager? Wouldn't it be great if you could share an office manager, office machines and office services with other professionals to get all of the benefits of having your own, professionally managed office without having to pay a full-time or even part-time staff person? 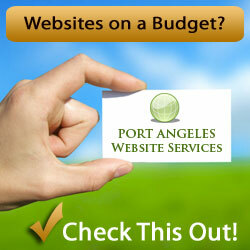 Website Development & Internet Marketing is provided by Port Angeles Website Services, home of no-nonsense website development and marketing programs for small business owners. Your LOCAL solution is also your BEST solution! We create attractive and affordable websites that really work for our clients with construction starting at just $99. Our websites are lean and clean, fully compliant HTML with .php file extensions. The look and feel and consistency of our sites from page to page is controlled by external style sheets (CSS). Our sites are developed with the proprietary pajezy program (we are authorized licensees) and result in clean and professional looking websites. Internet Marketing includes search engine optimization or SEO (both on-site and off-site), search engine marketing (pay per click advertising), internet advertising (such as paid directories or links), social media, article creation and distribution and more. 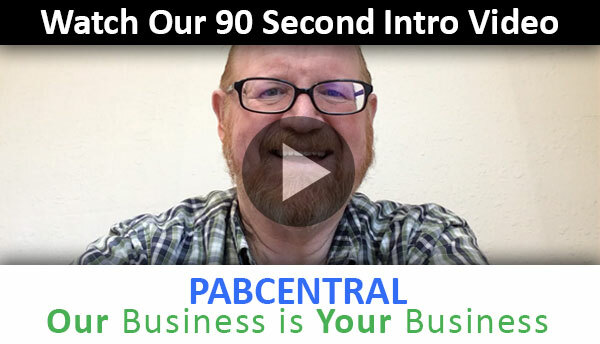 Click Here To Learn More ... Got questions? Get correct answers for free! Give me a call. I'd be happy to schedule a free, 1 hour consultation for you. Whether you are preparing to develop your first website or wanting to improve an existing one, Port Angeles Website Services has programs that will help you win on the world wide web. Port Angeles Business Central provides virtual office programs and shared office programs that are tailored to fit the needs of local, small business owners. The Port Angeles Business Central virtual office program provides businesses with real office management services including: answering the phone (intelligently - not a simple answering service), answering questions, taking messages (better than voice mail), scheduling appointments and more. Businesses that subscribe to the virtual office service may also take advantage of shared office space and the use of our multimedia conference room. Created to meet the needs of small businesses that need an occasional office environment, routine or otherwise, this program enables small business owners to meet clients in a professional environment and a convenient location without wasting money by over-spending on office space that is not in regular use. Port Angeles Business Central is a Place to Conduct Business, -Your Personal Business or Professional Business. Here you will find:an Office Cafe Service, Office Rentals, Virtual Offices, Office Services, Office by the Hour, Meeting Rooms and Conference Rooms. You can also Print, Copy, Fax, Scan, Cut, Laminate Documents, and enjoy a cup of anti-oxidant coffee and peruse our Great Little Art Gallery. Copyright © 2019, Port Angeles Business Central. 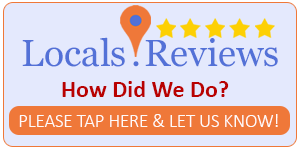 Port Angeles Business Central Rated 5.0 / 5 based on 23 reviews. Powered by Port Angeles Business Central.